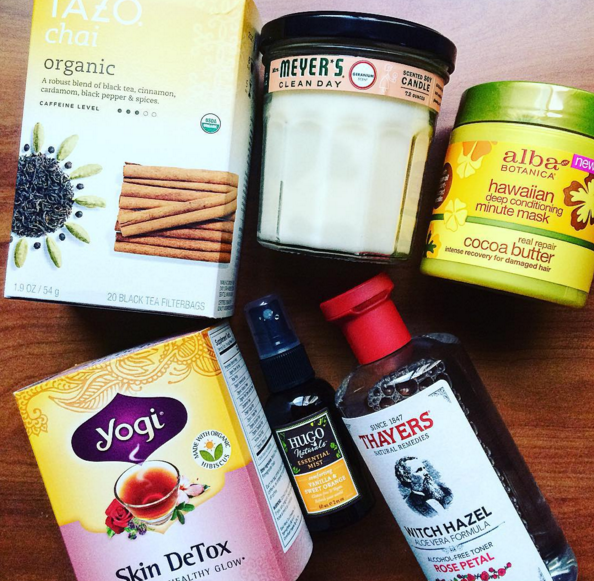 I make frequent iHerb haul about every three to four months to use up the credits and rewards and I gained from my previous purchase. But this time, I felt that my pantry is well-stocked with health foods so I decided to try other non-food items like beauty products. Since this was the start of the year where everyone has just started the rat race, I decided to try out some soy scented candles and herbal teas to induce some form of relaxation into my current lifestyle. I usually take a long time to decide what I want to purchase on iHerb because I tend to read the reviews in order to weigh the pros and cons of each product. I wanted the best of the bests and I am satisfied with my buys so far. In my recent purchase, I am very impressed with Mrs. Meyers Clean Day Soy Candle (Mrs. Meyers Clean Day, Scented Soy Candle, Geranium Scent, 7.2 oz) in Geranium. Like what others said, it is a ‘clean’ candle that produces little soot and burning scent. The smell is intense and it could really diffuse across my bedroom and even the living room! However, the scent can get a little overpowering as what others have mentioned that the scent didn’t smell exactly very natural. However, for the price of this soy candle, it is a pretty good deal and I would be buying more Mrs. Meyers Clean Day candles once I’ve used up this candle! Another favourite item from this purchase is Thayers, Witch Hazel Aloe Vera Formula, Alcohol-Free Toner, Rose Petal, 12 fl oz (355 ml). It smells really like rose water and it is very gentle on the skin. Some old favourites also includes Y.S. Eco Bee Farms, Raw Honey, U.S. Grade A, 22.0 oz (623 g) which is one of the most affordable raw honey I’ve came across. The other product is Yogi Tea, Skin DeTox Tea, 16 Tea Bags, 1.12 oz (32 g) that has a nice herbal tea blend. I’ve also developed a liking for chai teas and I went with Tazo Teas, Organic Chai, Black Tea, 20 Filterbags, 1.9 oz (54 g) which is not too bad but I wish it has a darker taste. Another product which is recommended is the Alba Botanica, Hawaiian Deep Conditioning Minute Mask, 5.5 oz (156 g) that has a rich cocoa butter smell. I am actually really liking this hair mask as it didn’t smell like it is ladden with artificial chemicals and I find that it absorbs into the hair cuticles more readily than other hair mask which I’ve tried. Last but not least, it is a bottle of organic scent mist which can be used as a room spray or body spray. It has a heavy vanilla scent which masked the sweet citrus scent of orange. I would rather use this as a face mist because of its refreshing light scent which is not too overpowering. The Hugo Naturals, Essential Mist, Vanilla and Sweet Orange, 2 fl oz (60ml) is one of the cheapest organic room and body mist too. It costs me less than $5 per bottle! You could also watch my YouTube video on this iHerb haul as I unravel the package to show what’s inside my iHerb shop box. Also, enjoy $5 off from your first purchase when you use my unique iHerb code RBS682! I hope to compile a list of bestselling products which I’ve received before and shared it with you guys too so keep your eyes peeled.